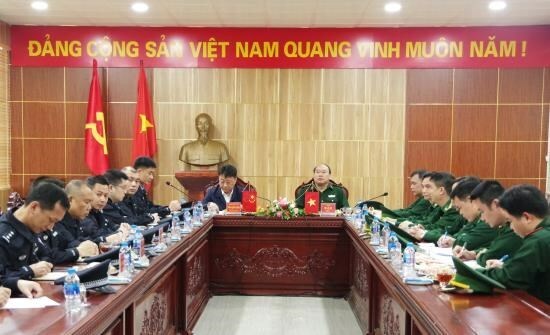 Lang Son (VNA) – The Lang Son border guard has handed over confiscated objects, allegedly related to high-tech criminal activity, to the agency in charge of border entry and exit examination of Guangxi, China. The goods were seized from a man who was caught in Lang Son’s border commune of Bao Lam for his suspicious behaviour. Contained in two suitcases, they include 653 Chinese bank cards, 733 electronic devices, 306 Chinese SIM cards, 47 USBs, 6 Chinese identity cards, and 30 sets of seals. The suspect was Au Viet Hoa, born in 1981 and residing in Bao Lam’s Na Pan village.